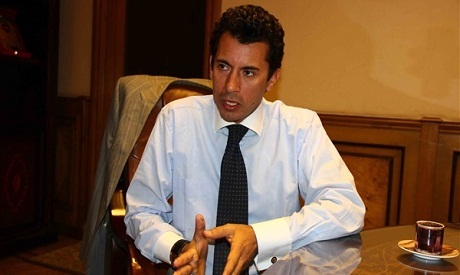 Minister of Youth and Sports Ashraf Sobhy said on Tuesday that Egypt aims to host the 2030 FIFA World Cup and the 2032 Olympic Games as part of the ministry’s strategy to develop and grow the standard of Egyptian sports. The minister’s comments came during a press conference held within the sports ministry. Sobhy, however, stressed that Egypt has the financial and tangible abilities to organize major sporting events. The last major tournament hosted by Egypt was in 2017 when the country hosted the FIBA Basketball U-17 World Cup in Cairo. Egypt’s previous attempt to host the World Cup resulted in “the World Cup zero scandal” where Egypt failed to garner a single vote in the 2004 bidding poll. The press conference comes after a ministerial meeting held by President Abdel-Fattah El-Sisi with Sobhy and Prime Minister Mostafa Madbouly. Sisi stressed that the “Egyptian youth are the focal point for the country’s development and economic security” and addressed the importance and influence of the role played by the Ministry of Youth and Sports in several sectors in the country. The meeting outlined the mechanisms of refining sporting talent as well as outlets throughout all the governorates in Egypt. President Sisi articulated his faith in the Egyptian youth and their boundless potential.